The Captivity of Kodavas at Seringapatam (also known as the Captivity of Coorgis at Seringapatam) was the imprisonment of Kodava Hindus by Tipu Sultan, the ruler of the Kingdom of Mysore from 1785 onwards. In 1783, the Kodavas erupted in revolt against Tipu and threw their forces out of Coorg (modern Kodagu). In 1785, he declared the Kodavas guilty of polyandry. He threatened that he would not revile or molest a single individual among them, but instead make Ahmadis (Muslims) out of the whole of them; transplanting them from their homeland in the Coorg to Seringapatam. 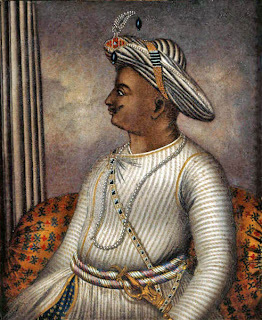 Tipu gave the task of implementing the orders to Runmust Khan, the Nawab of Kurool. This task was accomplished when in a surprise attack, the Kodavas were besieged by the invading Muslim army. 500 were killed and over 40,000 Kodavas fled to the woods and concealed themselves in the mountains. Thousands of Kodava Hindus were seized along with the Raja, Dodda Vira-Rajendra, and held them captive at Seringapatam. They were also subjected to forcible conversions to Islam, death, and torture. With Coorg depopulated of its original inhabitants, Tipu sought to Islamize it with Muslim settlements. To this end, he brought in 7,000 men from the Shaikh and Sayyid clans, along with their families. However, this attempt proved to be partly successful, as many of them were eventually slain or fled after Tipu lost Coorg. The Coorg capital of Madikeri was also renamed to Zafarabad. The Muslim descendants of the Kodavas who were forcibly converted into Islam, after Tipu Sultan's army on various forays into Coorg had captured them and thrown them into the Seringapatam prison, called Kodava Mappilas. During the Mysore War of 1792, about 12,000 persons, including 5,000 Kodavas who were Muslim converts managed to escape. These Kodava Muslim converts remained Muslims as they could not be reconverted to Hinduism, even if they had so desired. Their descendants, many of them now inter-married with the Malabar Mappilas and Tulu Bearys, constitute a very small minority in modern Kodagu. In spite of their change in faith, they maintained their original Kodava clan names and dress habits and speak Kodava takk, although now they do follow some Mappila–Beary customs also. In 1788, Dodda Vira-Rajendra escaped and defeated Tipu and recovered his kingdom. In 1790, he signed a treaty with the British, who promised to protect his kingdom against Tipu’s onslaught. In 1792, Coorg became independent of Mysore once again. Eventually, the Kodavas backed the British troops and Tipu fell on 4 May 1799. Cariappa, Ponnamma (1981). The Coorgs and their origins. The University of Michigan. p. 419 . Prabhu, Alan Machado (1999). Sarasvati's Children: A History of the Mangalorean Christians. I.J.A. Publications. ISBN 9788186778258 . Ramaswamy, Harish (2007). Karnataka government and politics. Concept Publishing Company. ISBN 9788180693977 . Sen, Surendranath (1930). Studies in Indian history. University of Calcutta .